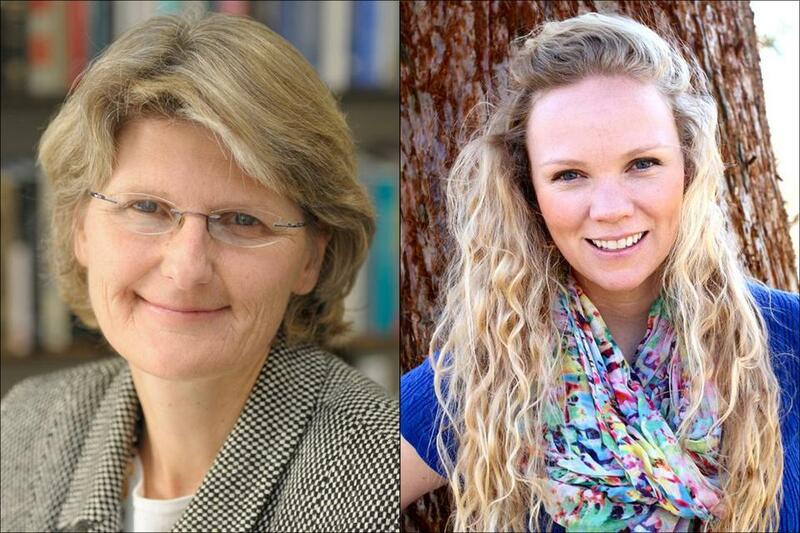 Authors Elizabeth Bradley (left) and Lauren Taylor are public-health specialists. The great paradox of American health care, according to Elizabeth Bradley and Lauren Taylor, is that although American per-capita spending on health far exceeds that of any other country on earth, the results achieved fall well short of other nations that spend much less. This includes such basic measures as life expectancy, maternal and infant mortality, and infant birth weight, for example. So are we to conclude that we’re simply getting shortchanged by an inefficient medical system? Not exactly, the public-health specialists argue in their new book, “The American Health Care Paradox.’’ The reality is more complex than that. When spending on social services such as subsidized housing, affordable daycare, and in-home assistance for people with disabilities that indirectly — yet very importantly — promote health and well-being is included, the picture changes dramatically, and the United States comes in 13th in a ranking of combined spending among most of the world’s developed countries. When looked at together, the figures make clear that among its peers our nation places greater emphasis on spending on medical care than on key social services. Why is this important? As Bradley and Taylor convincingly show in this thought-provoking and well-written book, ignoring the economic and social circumstances that result in poor health makes treating the resulting health problems much more expensive. It also shifts the burden of addressing these problems to a health care system which simply isn’t able to address them effectively. After outlining the problem, the authors describe the evolution of the American health insurance system, contrasting it with the decentralized and relatively underfunded programs addressing social well-being. Bradley and Taylor then examine the differences between Scandinavian and American models of spending on health and social welfare. The insights they provide are fascinating, as they do not satisfy themselves merely with dry statistics but explore some of the differences in philosophical outlook between societies relating to the role of government and the definition of quality of life. One major difference they identify is how health is perceived: as a goal or as a necessary component to a pleasurable, productive life. The authors quote an official at the Danish Health and Medicine Authority who articulates the view in his nation. “[H]ealth is not the goal of life. But health is definitely a means that you can use to choose exactly the life you want,” he says. This insight is important for many reasons. Certainly it explains our disproportionally high spending surrounding end-of-life care that provides little objective benefit and often characterizes our health care system. It also explains why more attention is paid in Scandinavia to supporting other aspects of quality of life, such as employment, housing, and food security, which indirectly lead to better health outcomes as well. Toward the end of the book, the authors provide four examples of initiatives in four states that address both health and social welfare needs and that have resulted in better outcomes at lower cost. Unfortunately, as they readily point out, much more remains to be done in this area. Bradley and Taylor are to be commended for bringing this important issue to prominence, as it is especially relevant to the heated and ongoing debate about the role of government in our health care system. By providing readers with the tools to understand the nuances of the debate, and by framing health care as just one of many factors that influence a person’s quality of life, they enable many more to take a meaningful part in this very important conversation, the outcome of which will affect us all. Dennis Rosen is a pediatric pulmonologist practicing in Boston. His book “Vital Conversation: Improving Communication Between Doctors and Patients” will be published by Columbia University Press in 2014.